I have long held a deep respect and fascination (and a healthy fear) of sharks. I own a few shark documentary DVD’s, as well as a couple of books about the creatures. 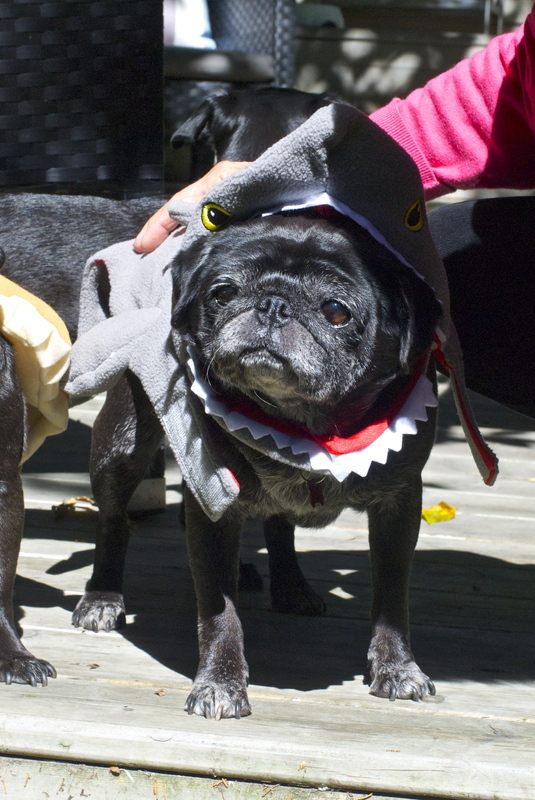 I also am terrified of swimming in sharky-waters, but that’s not why we’re here today. 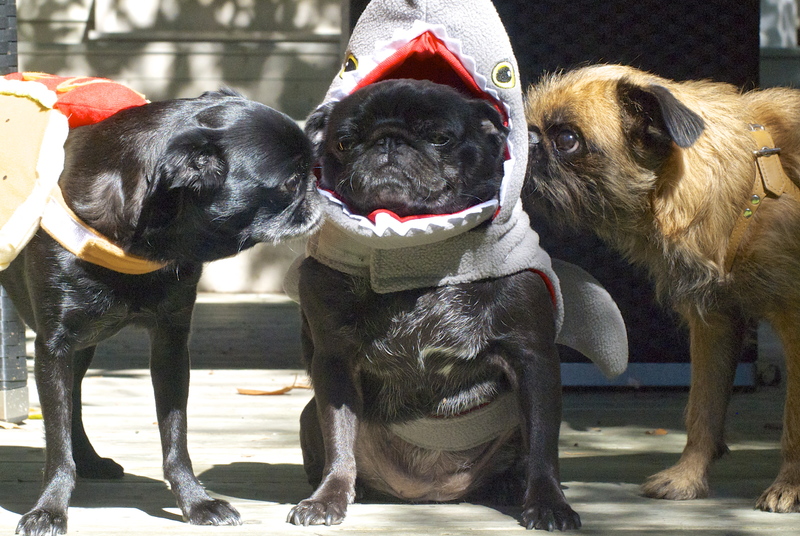 In honour of Shark Week (whatever that actually is), I have gone into the Lola Pug photo vaults back to around this time last year when we got together with The Griffies to celebrate…sharks? 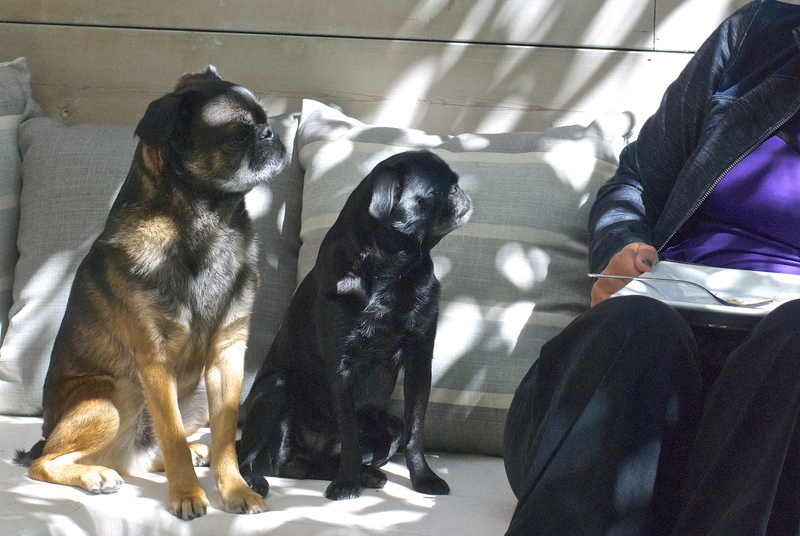 Well, Lola Pug, for one, was not impressed, and Clara and Bosco, although curious, seemed to be giving her a bit of space to get used to her transformation. Good shark face, though, little one. 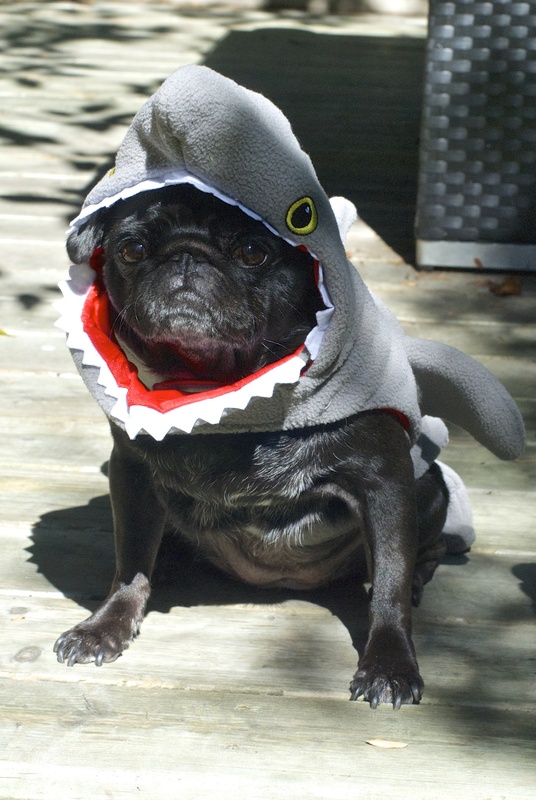 And I’m sorry, Roxy, you’re simply WAY too cute to be a menacing shark. With the help of his human, Bentley tried his best to put on a scary face. So Bentley and Clara tried their hand at being table sharks, instead. 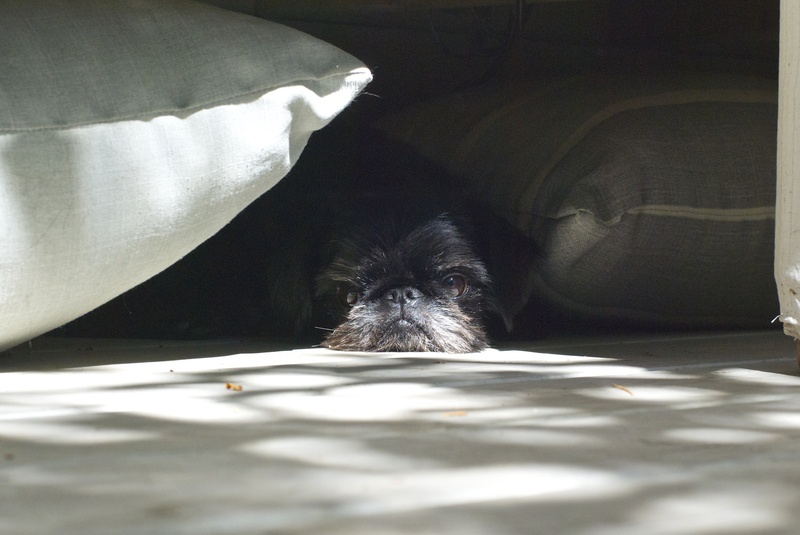 …while Osgood took the wise path, and hid. 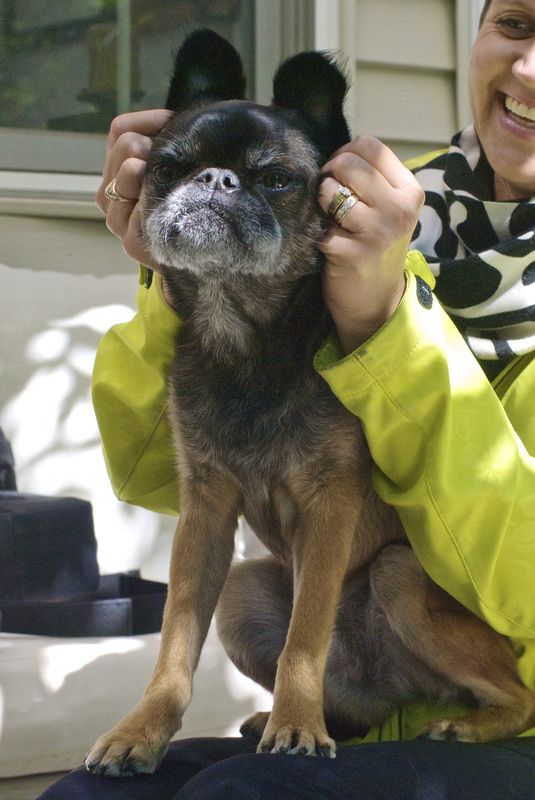 …or he was pretending to be a crocodile, it’s hard to say. 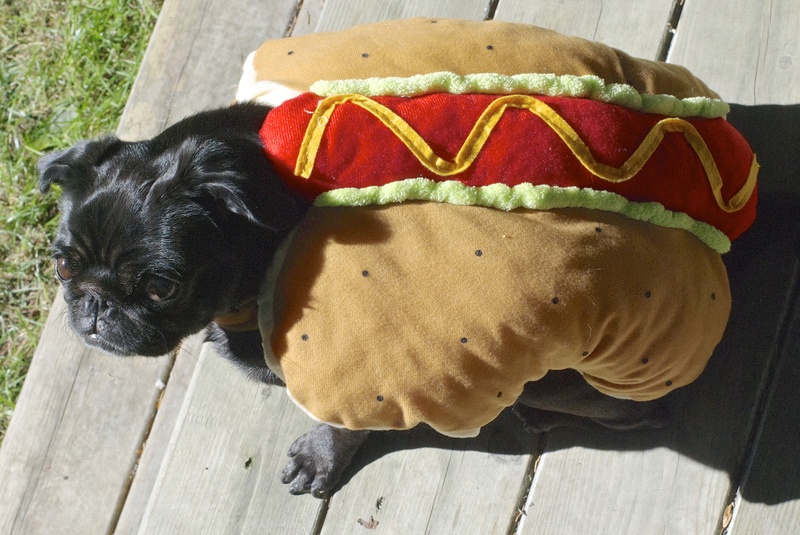 …than it is to be a hotdog.